We generalize the notion of proof term to the realm of transfinite reduction. Proof terms represent reductions in the first-order term format, thereby facilitating their formal analysis. 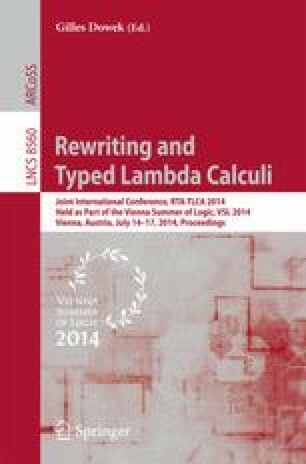 Transfinite reductions can be faithfully represented as infinitary proof terms, unique up to infinitary associativity. We use proof terms to define equivalence of transfinite reductions on the basis of permutation equations. A proof of the compression property via proof terms is presented, which establishes permutation equivalence between the original and the compressed reductions.